In this workshop, you will learn the basics of playing the ukulele and we will strum and sing several easy songs together. You will learn a skill that can last a lifetime and receive practical tips for teaching ukulele in the classroom setting. Being able to share all of the above with your children and their classmates! Parents who will be attending the workshop must fill out the form below. Payment may be brought to the workshop in the form of cash or a check made out to Musical Mama, LLC. I’m Melissa Stevenson, a music-maker and ukulele teacher living in San Jose. 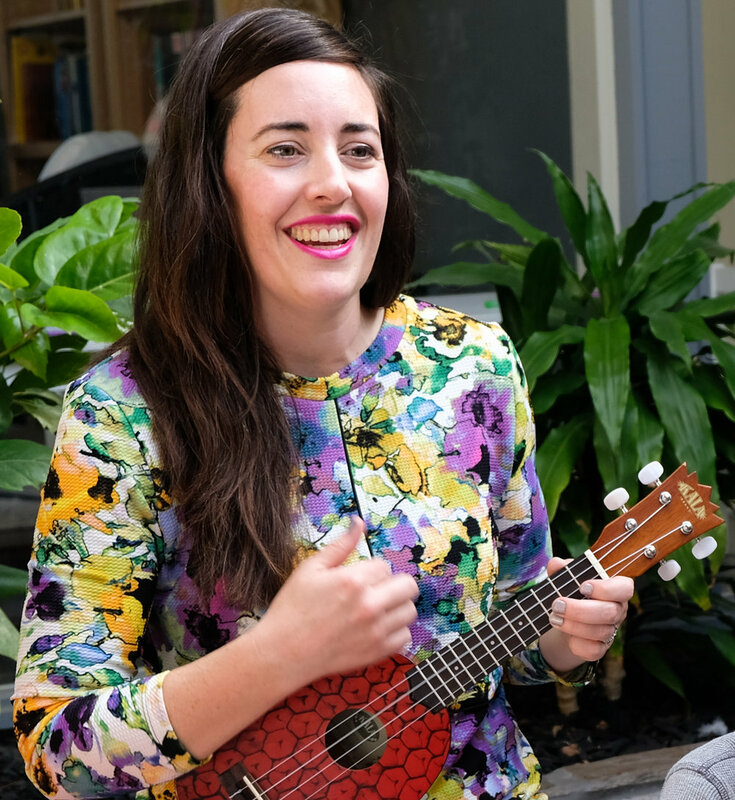 I love sharing the joy of making music with others and do my best to make learning to play the ukulele as straightforward and fun as possible. Let’s play! McAuliffe parents and teachers are eligible for 20% Melissa’s books and ukulele kits! Redeem at the workshop on 1/30/19 or at musicalmama.com by entering the code "MCAULIFFE" at checkout. Offer expires 2/28/19.